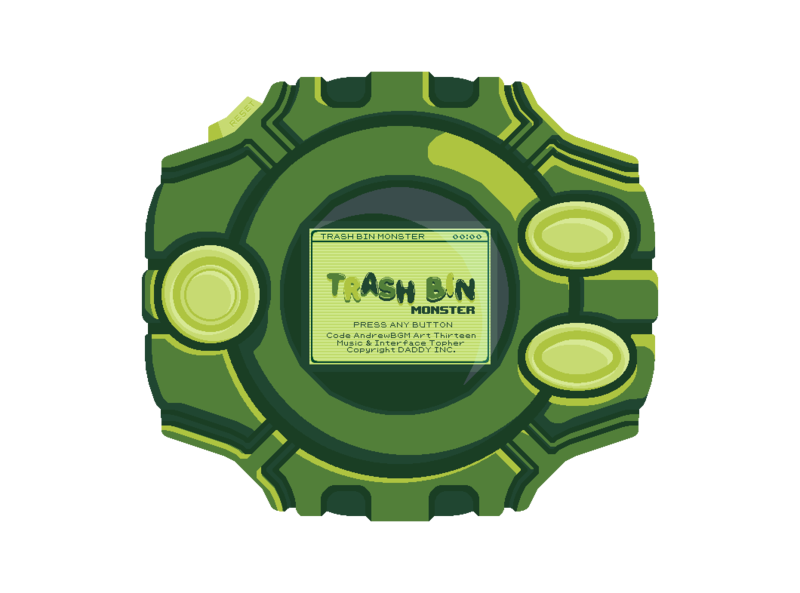 DISCLAIMER: Drag files from your computer to feed your trash bin monster. The files aren't being uploaded or read, only its metadata is detected. Do you ever feel nostalgic about the good ol' times when you were a kid and had a little tamagotchi? No? Well, uhm, okay. This short game actually has a story and an endgame, be sure to play until the very end! 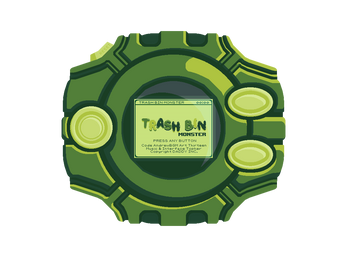 Take care of a cute little trash bin monster and feed it files in order to grow up and not starve! You can even pet it, and scold it when it refuses to eat. Just remember, you can't feed it the same file twice. With nostalgic imagery and music, you'll feel thrown back on the arduous task that was raising a virtual pet. Just be mindful of what files you feed it... Anyway, have fun and don't take the garbage out! This game was a submission to the Virtual Pet Jam by rousr. The game source can be found here and the console source can be found here.